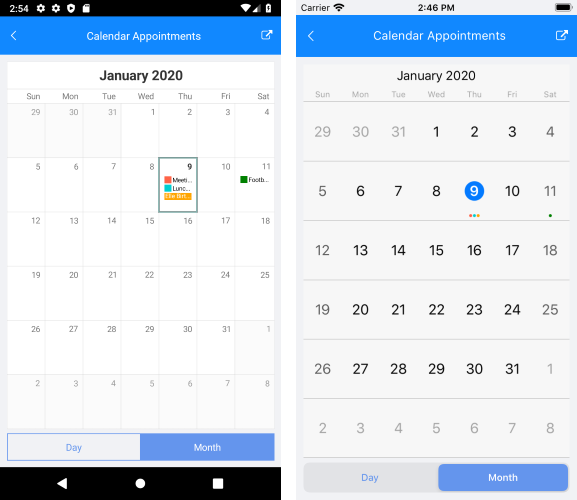 With R1 2019 release of Telerik UI for Xamarin we have introduced Telerik.XamarinForms.Input.Appointment class which implements the IAppointment interface as well as adds RecurrenceRule property to support recurrence feature. We'd recommend you use directly the Appointment class when working with appointments. 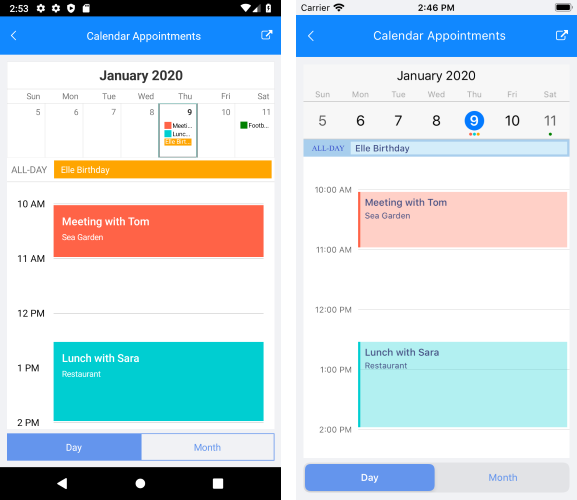 AppointmentTapped(AppointmentTappedEventArgs): Occurs when you tap over a specific appointment when in DayView or MultiDayView mode. It can be used to get all the information regarding the appointment.